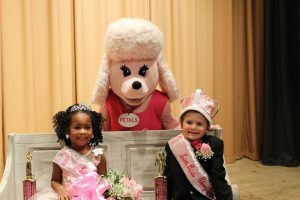 Congratulations to our new, 2019 Little Mr. & Miss Cherry Blossom! Our Little Miss is Ahmarah’EL Hubbard and our Little Mr. is Brayden Hopper!! All of today’s contestants worked their best pinks, sparkles and bow ties! Thanks to everyone who participated, sponsored, and supported the event!